Ms. Hodges' 3rd Grade: Author's Visit on Day 26! Today, we met the author Margriet Ruurs! 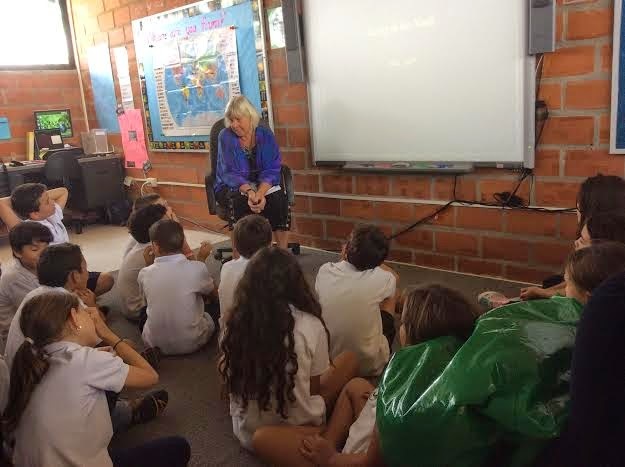 Ms. Ruurs has written over 20 children's books and came to share her talents with us today. First, she presented information about the Yukon and her experiences in Canada with us since she knew we had read her book, Me and Martha Black. Then she engaged the class in writing descriptives poems. We can't wait to finish them tomorrow before we meet with her again! Think about it: What is "descriptive writing?" How can we "show" instead of "tell?" 1: What is word form? 2: What is one question that you have about place value or word form? 3: What good test taking skills does Shaun practice in the video? Thanks again for all of your help last week with the books. I hope your weekend and holiday were good ones!